Surface-enhanced Raman scattering (SERS) is a powerful technique for characterization of biological samples. SERS spectra from healthy brain tissue and tumors are obtained by sudden freezing of tissue in liquid nitrogen and crashing and mixing it with a concentrated silver colloidal suspension. The acquired spectra from tissues show significant spectral differences that can be used to identify whether it is from a healthy region or tumor. The most significant change on SERS spectra from the healthy/peripheral brain tissue to tumor is the increase of the ratio of the peaks at around 723 to 655 cm<sup>−1</sup>. In addition, the spectral changes indicate that the protein content in tumors increases compared to the peripheral/healthy tissue as observed with tumor invasion. 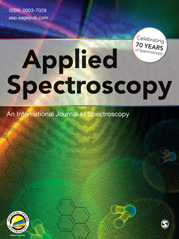 The preliminary results show that SERS spectra can be used for a quick diagnosis due to the simplicity of the sample preparation and the speed of the spectral acquisition.